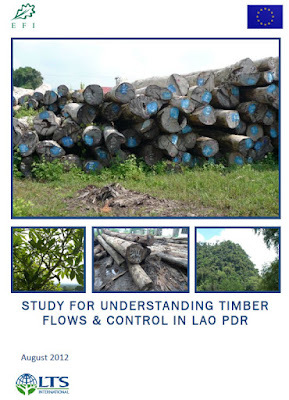 This is a good primer for those wanting to learn more about Laos' forests, timber and its administration. Learn about the timber flows, what controls are in place, where improvements can be made and which government departments are in involved, timber quotas, types of land such as protected areas, issue of illegal logging, etc. It's available for free at the link below.